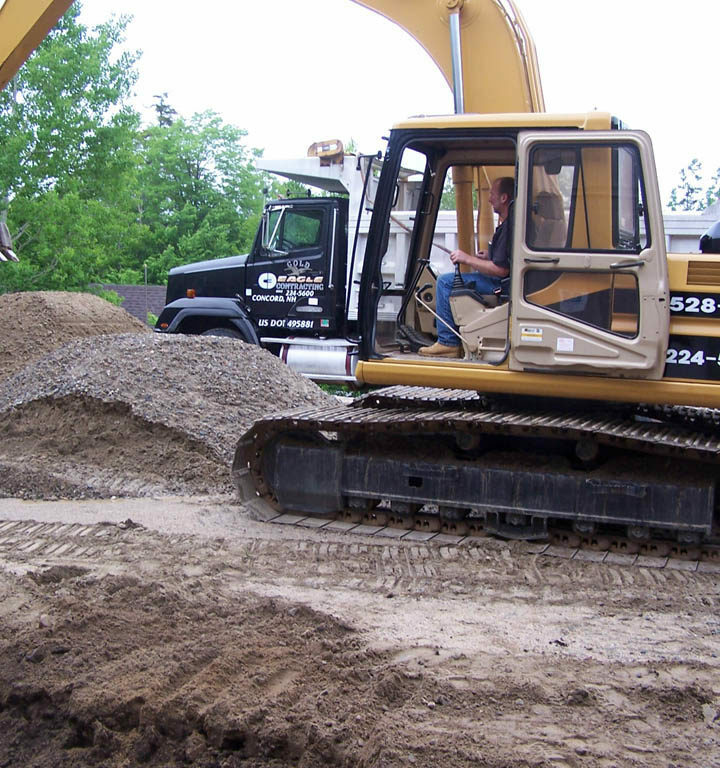 NH Underground Tank Contractors - Gold Eagle Contracting Inc.
Gold Eagle Contracting, LLC is the residential and commercial specialist for all your excavation, septic and fueling system needs. We take pride in offering high quality and precision efficiency at reasonable prices. We are ICC (International Code Council) and STI (Steel Tank Institute) certified. Our company is a member of the Petroleum Equipment Institute. Our team is completely trained and experienced in each phase of the project they are involved in. Family owned and operated since 1985, we work with our customers to develop innovative, cost-effective solutions to engineering and construction challenges. Our decades of experience and enviable reputation, combined with our extensive knowledge of state regulations make us the wise choice for your project’s needs. Whatever the job, we work with state and local officials to make sure your project goes smoothly. We strive to meet and, whenever possible, exceed NH Dept. of Environmental Service audits and inspections to help keep your site in compliance and on schedule. We have satisfied customers throughout New Hampshire and Northern Massachusetts and are fully insured. Call today to speak to Colette about your next project.